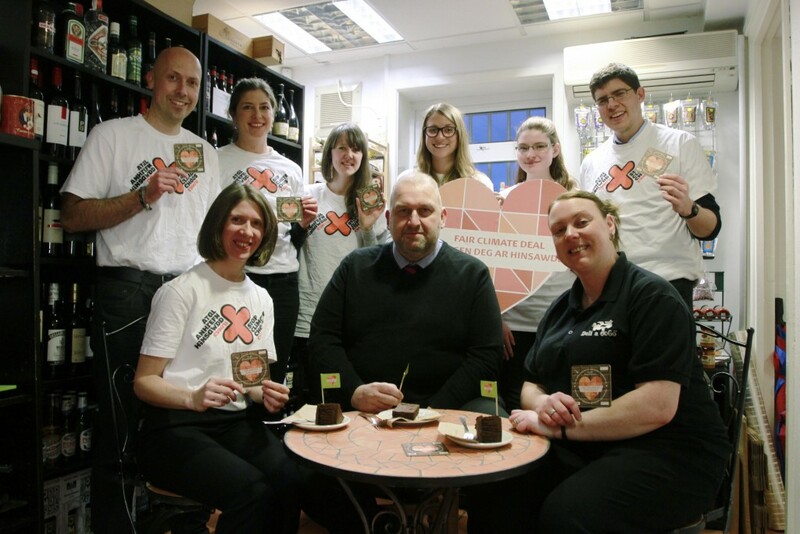 Today SCCC members met up with the Environment Minister Carl Sargeant over a slice of delicious chocolate cake handmade by Sonya at the wonderful Deli a GoGo – one of the many amazing cafés that are taking part in our climate change special project this autumn/winter. SCCC members and deli owner Sonya meet Carl Sargeant for cake! This is just one of the many reasons why we need to tackle climate change, so today we talked to the Minister about sustainability, the Environment Bill and Wales’ role in the global movement for a fair climate deal before he sets off to represent Wales at the UN’s climate talks COP21 in Paris. We are so pleased to have his support on these matters, and look forward to meeting him again after the conference to discuss how to keep Wales moving towards a more sustainable nation. 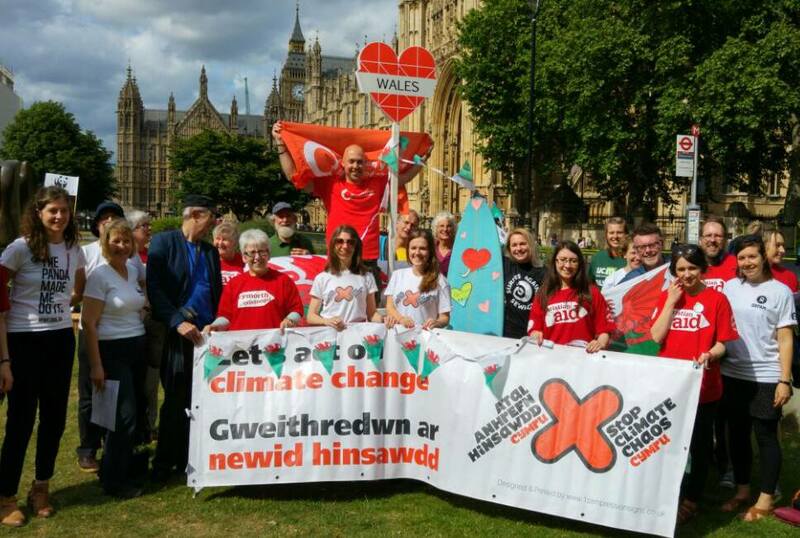 The big Wales Climate Action Day rally is less than a week away! Don’t miss your chance to join hundreds of people across Wales coming together in Cardiff to show their love for the planet, uniting together by standing up to climate change! There are marches and demonstrations taking place across the world this weekend, so be part of it – make sure you come and make Wales’ voice loud and proud this weekend! Join us on Saturday the 28th to be part of the rally. If you’re cycling, meet us at Callaghan Square at 1:30pm sharp for the mass cycle to the bay. If you’re on foot, then meet us at the Senedd at 2pm for speakers, performers and all sorts of feel good vibes, including a sustainable goodie bag! Can’t make the event? Things are happening all over Wales! 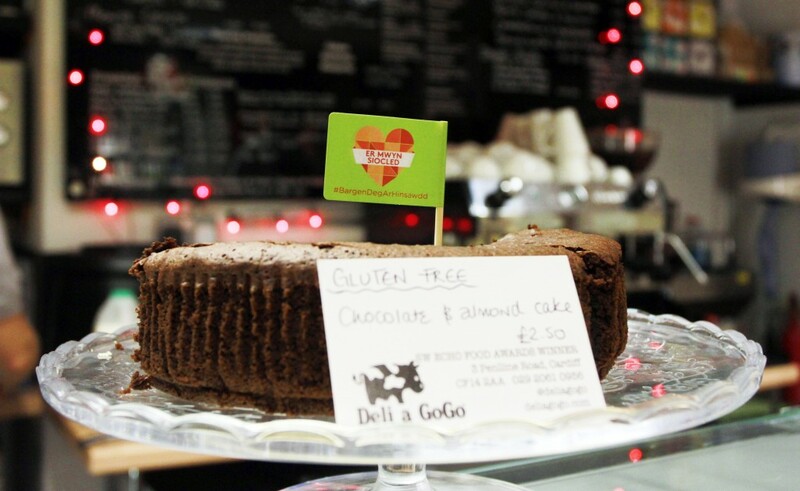 It’s great to see so many cafes getting active and serving up such delicious treats to promote our cause – cafes are signing up from all over the country! So keep an eye out for participating cafes in your area, and if you can’t find one, why not suggest it to your favourite local? We want to also say a big thanks to Hub Cymru Africa for giving us a grant to carry out this project and produce our lovely food flags and drink mats! Diolch!